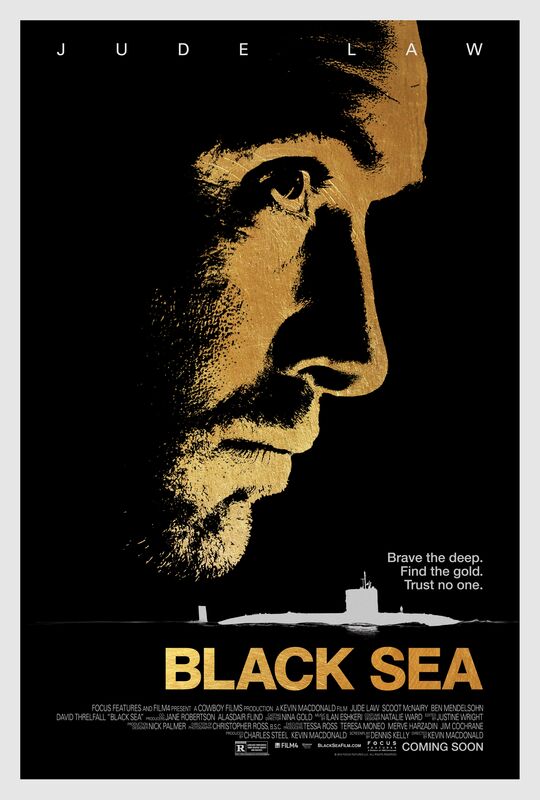 Universal Pictures has released the first clip from Kevin Macdonald‘s upcoming submarine thriller Black Sea. Jude Law stars as a rogue captain who puts together a misfit crew to recover lost Nazi gold from a sunken U-boat, but the claustrophobia becomes even tighter as the crewmates turn on each other in the hope of gaining a greater share of the treasure. This clip doesn’t highlight the interpersonal drama between the crew as much as it explains to the audience how a treasure from the 1940s could still be salvageable. I don’t really need to know the science behind preserved Nazi gold, but I don’t mind the inclusion. Hit the jump to check out the Black Sea clip. The film opens January 23, 2015, and also stars Scoot McNairy, Ben Mendelsohn, Michael Smiley, David Threlfall, Grigoriy Dobrygin, Konstantin Khabenskiy, Sergey Kolesnikov, Sergey Puskepalis, and Jodie Whitaker.